As a data center, your main priority is your uptime. All your systems must be highly reliable and available 99.999% of the time and, as a North Carolina HVAC provider, AirTight FaciliTech understands that HVAC services are crucial to making this happen. After all, according to Moore’s Law, computing capacity doubles every 18 months, meaning the heat generated by updated computing equipment also rises. If your equipment is generating too much heat, it and the surrounding equipment will fail. In the data center industry, this is unacceptable. This means it’s essential that data centers are constantly rethinking their strategy for keeping equipment at safe temperatures. 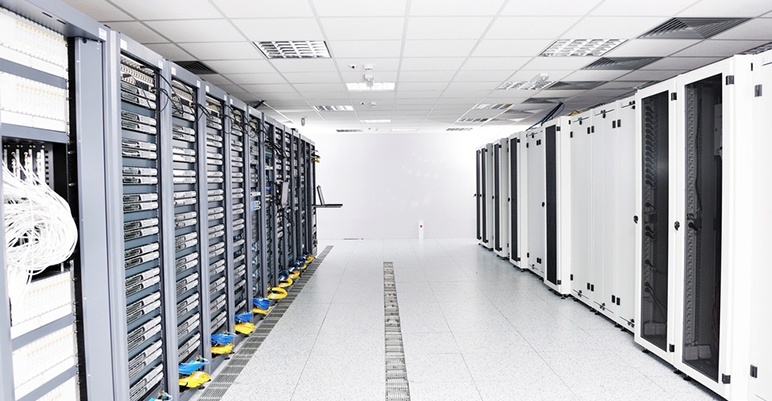 To combat this problem, most data centers have taken the same heat removal approach. Strategically positioning HVAC units throughout rows of IT equipment allows this heat to get ingested and appropriately cool equipment. Ultimately, these cooling strategies keep facilities working at maximum performance – but at an expensive cost. The average data center uses 100 to 200 times the energy of a commercial building, with cooling systems consuming over 30% of a data center’s energy usage. While these cooling systems are critical to maintaining uptime, if they aren’t built and maintained efficiently the supply and return air distribution can lead to increased energy usage without the best possible cooling. Essentially, your operating costs will exceed your HVAC’s performance. You’re left paying more for equal (or worse) ventilation, wasting both energy and money. So, how do you balance the two? How do you ensure that your uptime and operating costs are equaling each other out? It’s been shown that a data center’s energy use can be reduced as much as 80%, without sacrificing performance, by focusing on efficiency. The first step you can take is conducting an analysis to determine energy efficiency, downtime, and equipment longevity opportunities. AirTight FaciliTech can provide an operational assessment of your facility to uncover utility rebates, reduce energy bills, and improve redundancy and operational reliability. In addition to an initial assessment, routine system maintenance is an integral part of reducing operational costs. Emergency equipment repair or replacements can put a serious dent in your budget and cancel out the other efficiencies you’ve worked to establish. Through on-site and remote data monitoring, trend analysis, and proactive repairs and replacements our building maintenance services reduce operational costs while improving comfort and safety. Lastly, implementing energy efficient solutions throughout your facility can make the difference in balancing system performance and operational expenses. Whether you maximize the efficiency of existing equipment, incorporate new energy-efficient equipment into your facility, develop a sustainability program, or introduce renewable energy sources into your center, small (and big) changes can add up to significant energy savings. Finding the right balance between your operational costs and uptime can be difficult. However, taking the time to identify and resolve areas for improvement is crucial to ensure maximum performance out of your equipment without massive energy expenses or wasted energy. If you have any further questions or need additional services to pursue lowering your data center’s energy usage, contact AirTight FaciliTech for more information.